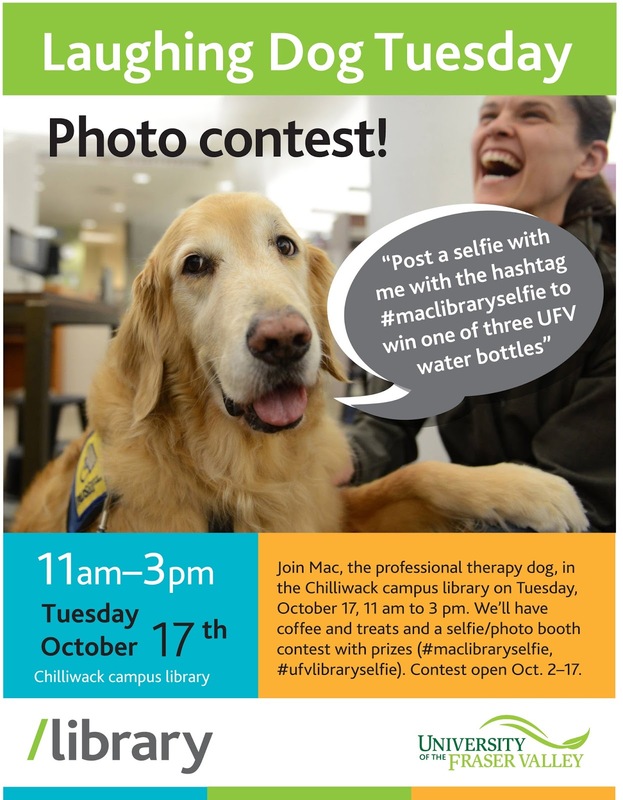 Join Mac, the professional therapy dog, and enjoy complimentary treats at the Chilliwack library's de-stressing day, Tuesday, Oct. 17, from 11 a.m. to 3 p.m.
Take a selfie with Mac or a selfie in the library's "photo booth" and post with either #maclibraryselfie or #ufvlibraryselfie to win prizes. 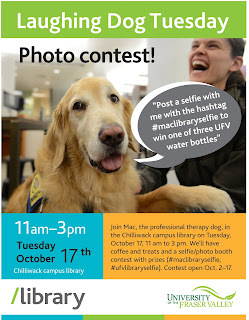 The contest is open Oct. 2 until Oct. 17, but Mac will only be in the library on Oct. 17. Are you interested in Canadian politics, history, current events or social issues? Try Curio.ca to find high quality educational streaming video and audio produced by CBC and Radio Canada. Documentaries from radio and television, news, drama, archival material, teacher's guides and more are included. Along with our Curio.ca content, we subscribe to the News in Review channel. Instructors wishing to create playlists should contact the library for the access code required to set up a personal account. 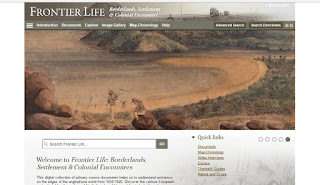 Frontier Life: Borderlands, Settlement & Colonial Encounters - New! Frontier Life is a digital resource designed to enrich teaching and research, examining settlement, existence and interactions at the edge of the Anglophone world from 1650-1920. With a vast array of primary source material previously unavailable in digital form, this resource enables research into the many dynamics of frontier existence and its lasting influence across multiple regions. Primary sources from Canada include archives from the Glenbow Museum and the Hudson’s Bay Company Archives Library, Archives of Manitoba. 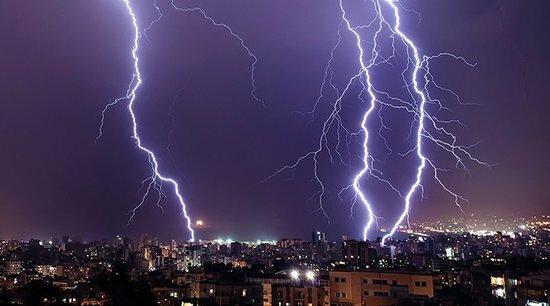 Consortia Canada, Adam Matthew and 18 leading academic institutions have collaborated to open this essential content to libraries and educational institutions nationwide, including all library types: public, post-secondary, special, archives, museums and K-12 schools. The collaboration unlocks important primary sources to provide the broader community with a comparative view on the various colonial frontiers across the globe.